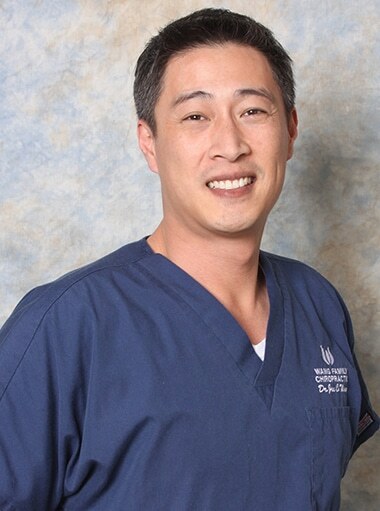 Meet Dr. Joe Wang, D.C.
At Wang Family Chiropractic, we are dedicated to helping you achieve the best overall health in your daily life. We take a natural, proactive approach to health care and are committed to helping our patients obtain extraordinary health. After my injury, I never thought I would be able to coach again. Thanks to Wang Family Chiropractic, I was able to recover quickly and be ready for the spring soccer season. Our office is located in Naperville, but still convenient for residents in Aurora, Warrenville, Lisle, Plainfield, Bolingbrook and other suburbs located south and west of Chicago! Many of our patients drive long distances from Chicago and other suburbs just to be treated by Dr. Wang.